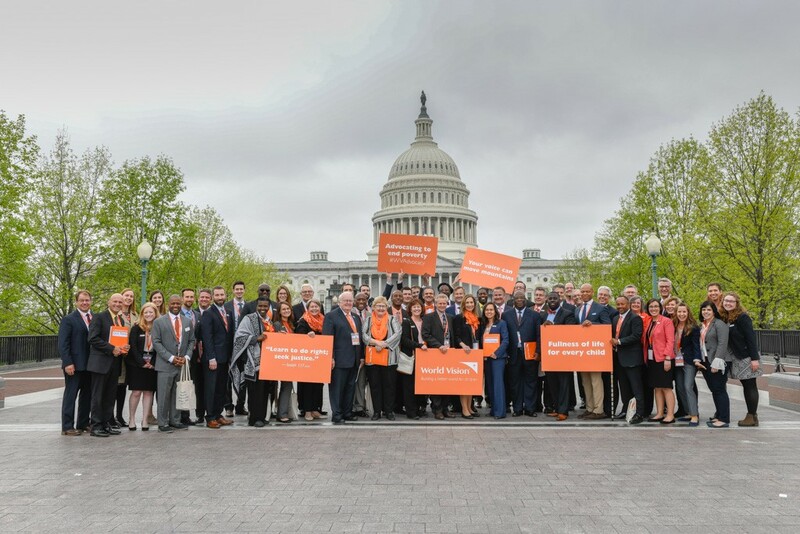 Last week the World Vision advocacy team was privileged to witness 60 advocates put faith into action on Capitol Hill. People flew in from 16 states to meet for two days at our Pastor and Influencer Advocacy Summit. The summit started with passion – people who care deeply about those who live in poverty. Through learning about World Vision, international development issues, and ways to advocate, this passion evolved into meaningful interactions with members of the U.S. Congress. Everyone should be excited that we live in a place where we can speak freely with members of Congress. Behind every door in the House and Senate buildings are people. These people are decision makers, and they work for you. The common narrative is that Congress does nothing, that speaking to them may be fruitless. However, immediately following conversations one congresswoman cosponsored the Global Food Security Reauthorization Act and a Senator added her name to a letter in support of the Foreign Affairs Budget. People were heard and the results will be felt by people around the world. If reading this has you excited and wondering how you can be involved, here are some opportunities! Learn more about meeting with members of Congress, often possible right in the city where you live. Go to our issues page and find a topic that excites you. Start the conversation with a Senator’s or Representative’s office by making a phone call. Join us to take your advocacy further! In addition to weekly updates you will be sent opportunities to act.